A guard looks through the window of a hallway inside the No. 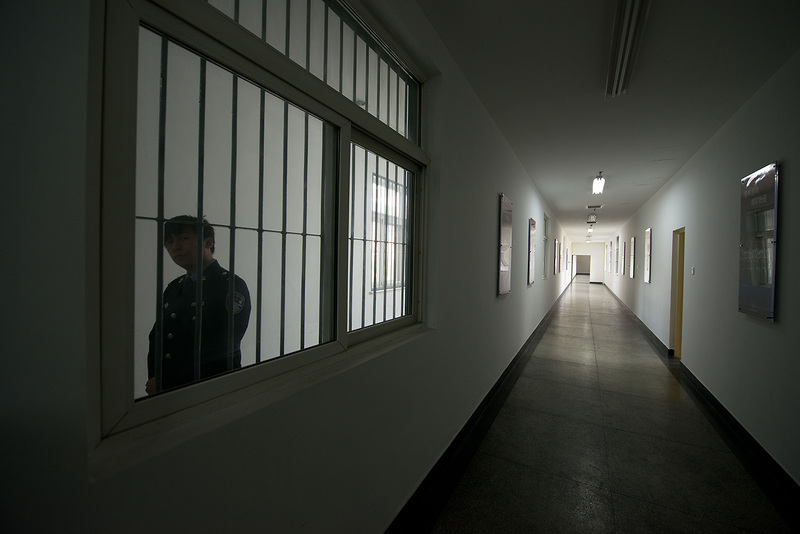 1 Detention Center during a government guided tour, in Beijing, October 25, 2012. In 2009, Michael Manning was working in Beijing for a state-owned news broadcaster by day, but he spent his nights selling bags of hashish. His position with CCTV was easy and brought him into contact with Chinese celebrities, while his other trade expanded his social circle and grew his bank account. Manning’s dual life came to an end on March 15, when a team of undercover officers knocked on his door as he was receiving a package. That night, authorities hauled him to the Beijing No. 1 Detention Center, where he spent more than half a year. In this episode of Sinica, Manning discusses how the police nabbed him, the conditions of his incarceration, his daily routines during imprisonment, his cellmates, and his surprisingly positive feelings about China after he got out. You can read a diary that Manning—who now works for a legal marijuana dispensary in California—wrote in secret during his detention on SupChina. “Annals of Literary vs. Vernacular,” by Victor Mair, Language Log.